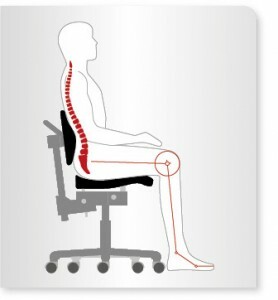 People spend one third of their professional lives sitting on their work chairs so ergonomics is important. Anyone who performs strenuous or repetitive tasks in the workplace needs a chair that will provide them with proper support. Our chairs can be adapted to any working situation and provide excellent stability and support, yet they do not restrict freedom of movement. 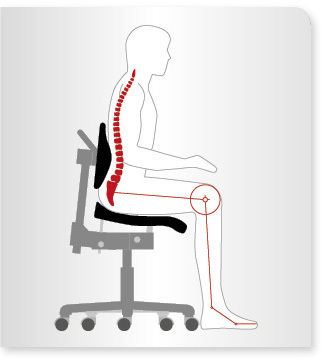 Frequently changing your posture while seated reduces one-sided, unhealthy strain on the muscles and the intervertebral discs. The spinal column assumes its natural S-shape and takes the strain off the intervertebral discs and the buttocks, which improves blood circulation and the supply of nutrients. This enables the intervertebral discs to regenerate while simultaneously boosting concentration and performance. 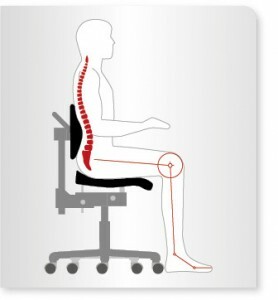 Our chairs offer plenty of room for healthy, dynamic sitting thanks to their ergonomic, tilt-adjustable seats and high backrests with individually adjustable contact pressure. Ergonomic innovation featuring motion-synchronous pivot point shifting. This prevents the user’s shirt from “riding up” as a result of an awkward reclining angle. Seat positions can be adjusted easily, with just a few quick motions. Adjusting elements are functionally arranged and easy to use. Fully perforated seats and backrests provide continuous air circulation and an optimum seat climate*. * Studies conducted by the chair of ergonomics at the Technical University of Munich showed that perforated seats demonstrate significantly superior microclimatic properties (wet and dry heat transport) over seats without perforations. Removable and interchangeable PUR integral foam** cushions ensure optimum occupational hygiene, especially in multi-shift operations.